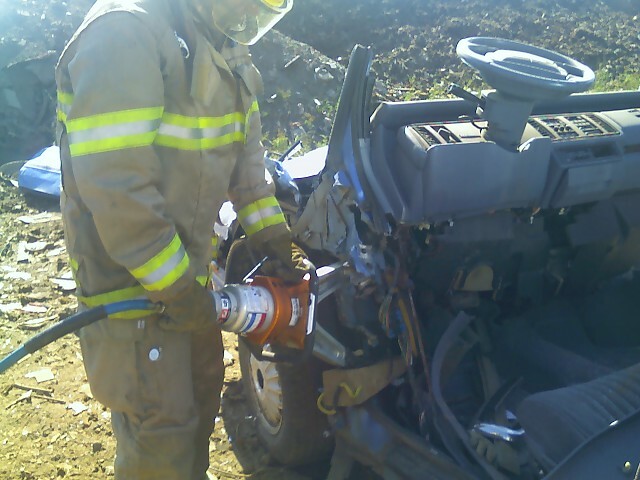 It's a good thing I didn't waste time feeling sorry for the Upsala firefighters that are taking vehicle extrication at Fire Con this weekend. It turns out they won't be out in the rain tomorrow after all. They're scheduled to learn equipment maintenance in a nice dry warehouse. Here's a couple shots of them ripping vehicles limb from limb in the nice September sunshine. Frank the Killer Whale, Aime the Rainman, and Jason (who doesn't have a nickname yet) are teaching pump ops in the rain, but I won't feel sorry for them either, mostly because I am certain they wouldn't feel sorry for me if I were in their boots. Graham the Shark taught fire suppression today with the Dryden crew, and has the day off tomorrow (if I remember correctly). 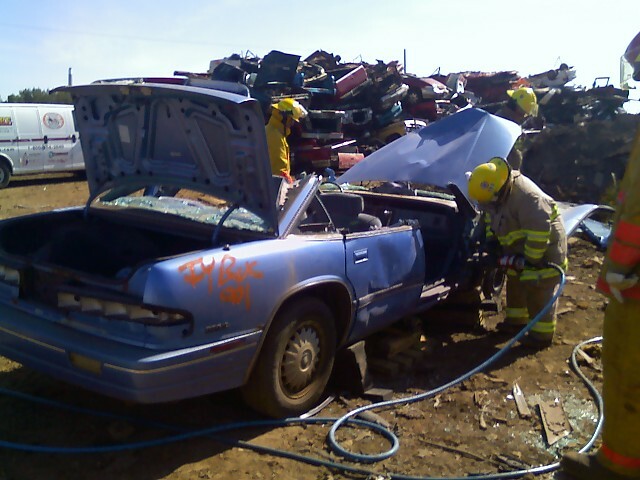 I've never confessed that my nickname used to be Tim the Torch, a designation I earned during a couple of ill-fated vehicle fire training evolutions. I won't give details now, except that they involved gasoline and an ignition source. I've since reformed my ways for the most part, and I think the torch label has been laid to rest. As you already know, I'll be in a comfortable classroom tomorrow not feeling sorry for anyone . . . and coaching future fire service instructors. It's tempting to miss the excitement of live fire, but then I remember the scalding heat, the sore back and knees, and the smoky wet turnouts, and I don't feel so bad. Besides, there are correlations between instructing live fire and training trainers. For example, the terror in the eyes of some students performing their first-ever presentation is not unlike the terror in the eyes of some recruits entering their first-ever live fire. It's a whose-idea-was-this-anyway look that mirrors that of an acrophobic taking skydiving lessons. The pleasure of seeing a future trainer gain confidence is equal to the pleasure of seeing a timid firefighter nail a fire attack (and ask to go in again) as well. 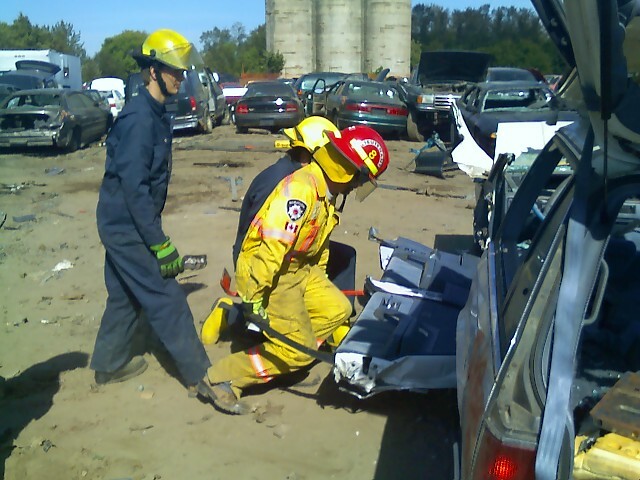 Fire service instructors are not all evil-to-the-core like I implied in my April 5 post. Pump ops, live fire, search and rescue, trainer facilitator, it doesn't really matter. All of our harassing, egging on, and pushing are aimed at making the participants safer and smarter firefighters. At least, that's our story and we're sticking to it.